Another week, another conference, this time on twitter! It’s a busy time of year for us, and this week while we’ve both been taking some time off, the tour still continues, as we’ll be taking part in an online conference on Thursday called PressED. The conference which takes place on twitter, explores how WordPress (the blogging platform that we use) is used in teaching, pedagogy and research. 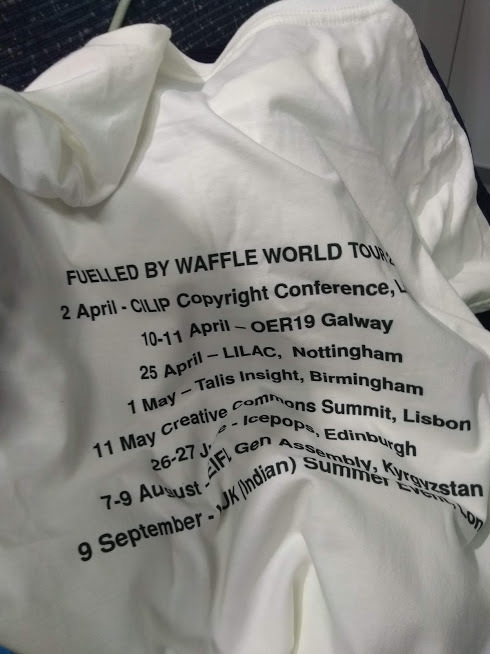 We’re ‘presenting’ at 13.30-13.45 British Summer Time on twitter on Copyright and Blogging to share our experiences of using the WordPress platform to run the Copyright Literacy website and also to discuss some of the copyright issues associated with blogging. If you are interested in following the conference on Thursday, follow the hashtag #PressEdConf19 and tune in at 13.30 to follow our tweets. Social media leads to all sorts of interesting copyright challenges, making it far easier for people to share their content, but also it’s a great way of highlighting openly licensed content, such as images and blog posts that are licensed under Creative Commons. There are loads of great presentations on the conference schedule and it’s great to see some of the fellow presenters from OER19 on the line up. I’m going to probably be spending the day on twitter! Previous The 2019 World Tour starts!